2009 reissue of the Scottish band' debut album. 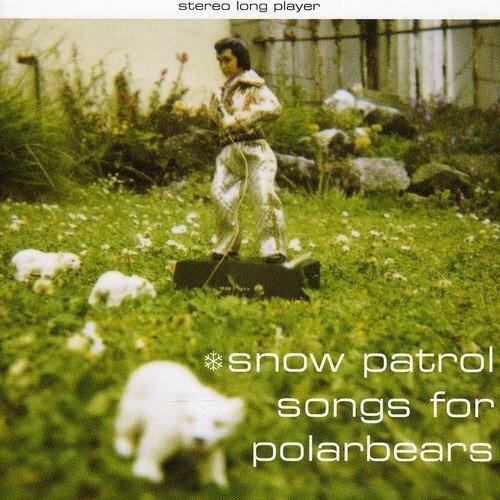 Originally released in 1998, Songs for Polarbears introduced the world to this extremely talented band who would dominate the UK and European charts over the following decade. Led by guitarist/vocalist and songwriter Gary Light body, Snow Patrol had all the right pieces in place by the time they released their debut album but it took a few years for the rest of the world to catch on. The band continues to go from strength to strength with every release. Includes 'Velocity Girl', 'Absolute Gravity', 'One Hundred Things You Should Have Done in Bed', 'Starfighter Pilot' and more. Jeepster. View More In Twee Pop. If you have any questions about this product by JEEPSTER RECORDS, contact us by completing and submitting the form below. If you are looking for a specif part number, please include it with your message.